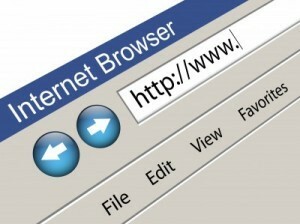 Surfing the web has been a part of most people’s lives. Some of us do this out of leisure, while others make a living out of it. For whatever reason you may have, it’s always important to make browsing on the internet as secure as possible. Here are seven tips you should consider before launching your web browser to keep your data secure and private at all times. 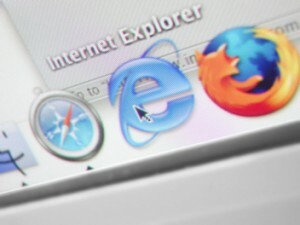 Keep Your Browsers Updated: Your web browser is the gateway to the Internet world, so keep it up-to-date. Update plug holes that cyber attackers could use to capture your web passwords, history, and other personal information. Updating should be hassle-free as some browsers like Google Chrome can be updated automatically even when being used. Use a Secure Connection: When using web services like Facebook and Gmail, turn on the secure browsing option in your account setting to avoid any chances of digital eavesdropping. If you can see the prefix ‘https’ in the address bar, that means it’s working. Clear Browser History: Why do ads on websites you visit seem to know what you frequently search on Google or Amazon? It’s because the ad itself places web-tracking files called ‘cookies’ on your computer that remember the sites you visit. Clear browsing history at the end of every session or use an app like CCleaner to erase old cookies. Know that People Can Easily Find You Through Your Updates: Status and photo updates posted on your social media accounts can include your location. Even if the location isn’t displayed on your post, it can be extracted and used to locate where you are posting from. Be Careful With Free Wifi: We usually get excited when we see a ‘FREE WIFI’ sign in a public area. However, be smart and know that using unprotected wireless networks can jeopardize your privacy. It’s not difficult for a determined cafe neighbour to digitally eavesdrop on any unencrypted data that you’re sending. Protect Your Online Activity: Consider using a virtual private network (VPN) when surfing the net. Apps like TunnelBear can provide encryption for your activities, which is a useful feature for delicate web activities like online banking. 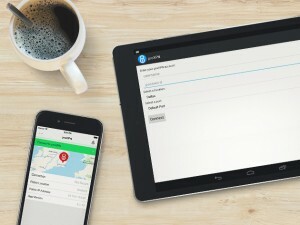 Keep Track of All Your Passwords: Ditch the pen and paper and just download a password manager app to securely keep track of all your passwords. Apps like LastPass and 1Password can securely store your secret combination keys and generate unique and strong passwords—much harder to hack than your typical birth date or anniversary date password. There’s plenty of other ways on how to better protect your privacy on the Internet. Although the tips enumerated are fairly simple, combining three to four of them should be enough to protect your information as you surf the web.